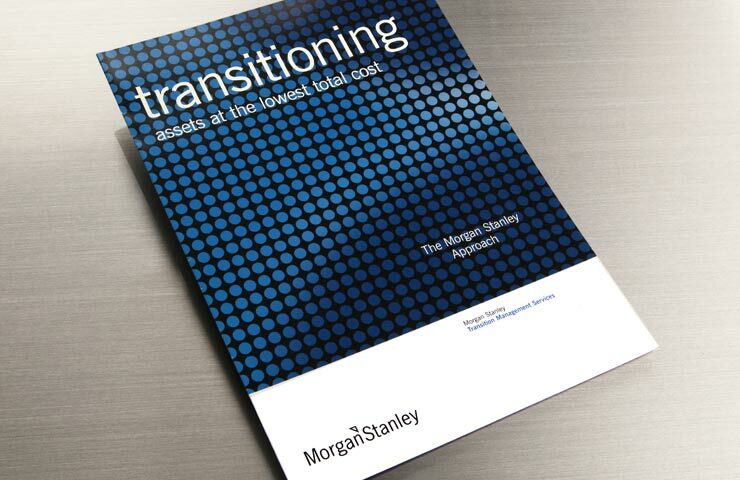 For the institutional investing division of Morgan Stanley, IridiumGroup developed themed concepts and presented designs for an informative and engaging brochure that educated investors about the complex process of transition management. The content shared an approachable, easily digestible process description for transferring large financial assets across multiple markets in innovative ways and at the lowest possible costs. It was a classic creative challenge: Find a simple way to present a complicated idea. 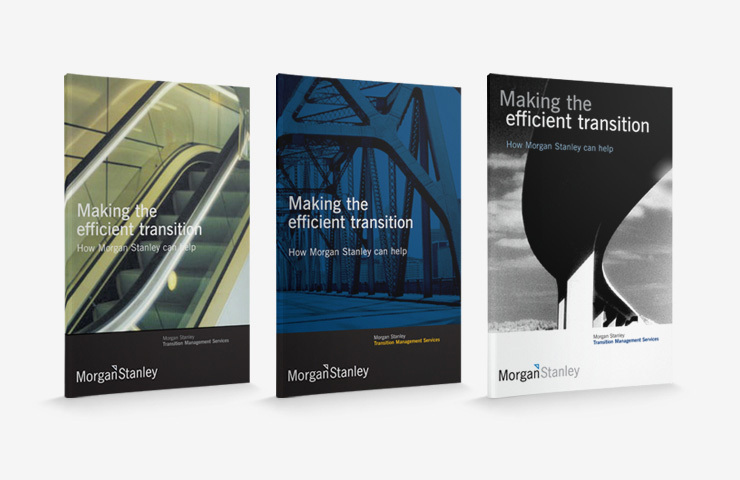 Working to support the standards established for the master brand, our creative team developed unexpected, compelling ways to illustrate the process of asset transition while working to reinforce and project the image of a stable, secure partnership for the Morgan Stanley brand.